Salty sweets are all the rage these days in gourmet desserts. It may sound odd, but salt complements the flavor of chocolate. These brownies are fudgy in texture, with a light crunchy burst of smokey salt that makes your taste buds quite happy. The flavor secret is a light dusting of the course smokey salt atop the chocolate frosting. 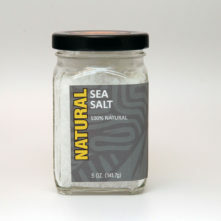 We suggest the Kiawe Hawaiian Volcano Sea Salt for a wicked combination. Preheat oven to 350 degrees. Line an 8 x 8 inch baking pan with nonstick foil. Melt unsweetened chocolate, semisweet chocolate, and butter in the top of a double-boiler, stirring until smooth. Remove from heat and remove the top of the double-boiler to a folded towel. Let cool for 5 minutes, then whisk in eggs, sugar, and vanilla. Add flour mixture to the wet ingredients, stirring by hand. Do not over-mix. Fold in chocolate chips and pour into prepared pan. Sprinkle with the white chocolate chips as soon as the browniees come out of the oven. Let rest for 5 minutes to let chocolate soften, then use a spatula to spread chocolate evenly over the top. 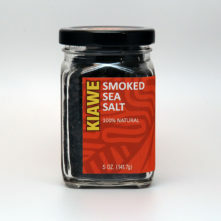 Using your fingers for control, sprinkle evenly, but sparsely with coarse Kiawe Smoked Hawaiian Volcano Sea Salt. Tap pan gently on the counter to set salt crystals into the frosting. Refrigerate about 15 minutes to set frosting. 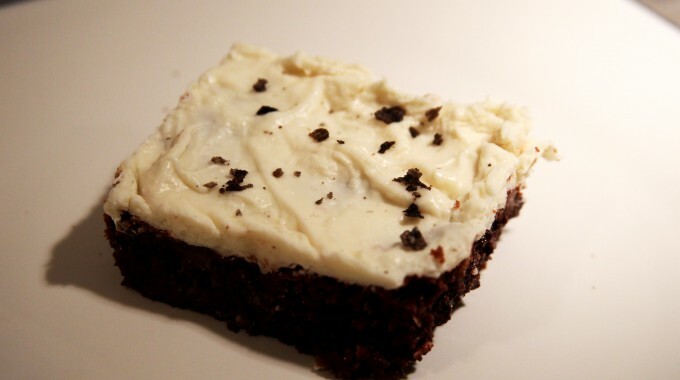 Let brownies come to room temperature before cutting to serve.